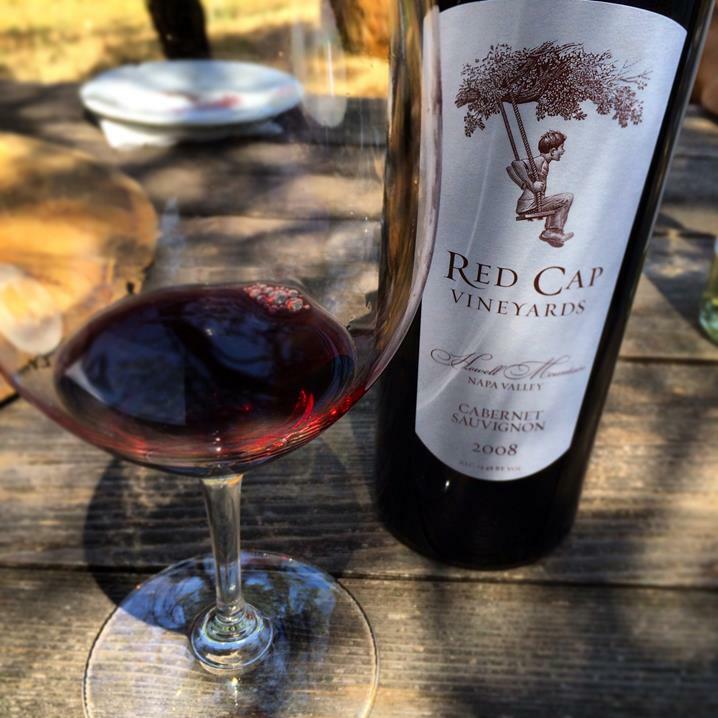 Red Cap Vineyards is a small, family owned winery that has been one of the best-hidden gems in all of Napa Valley. 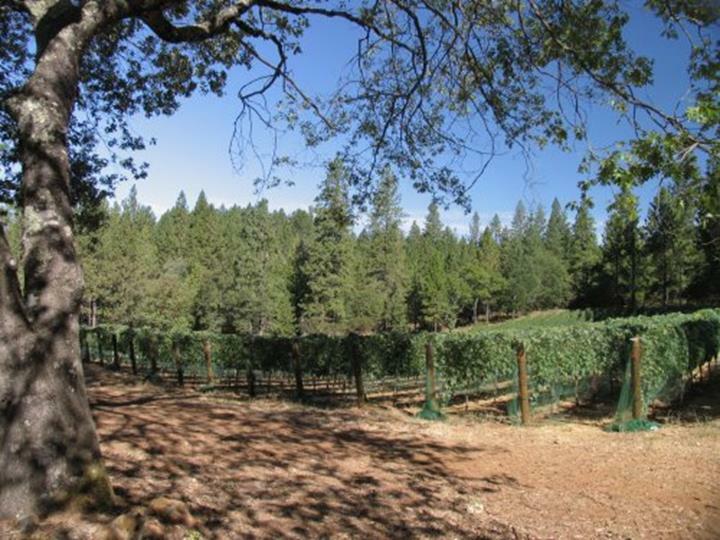 Located at the cap of Howell Mountain, off a few windy roads and hidden down a road, that’s where you’ll find Red Cap Vineyards. 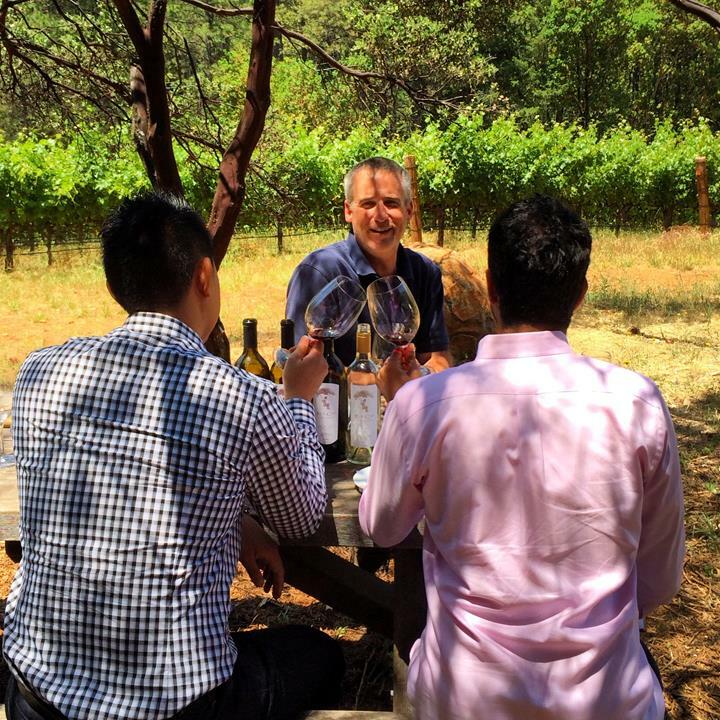 The road to Red Cap Vineyards is not an easy one, traveling through Howell Mountain and windy roads, you journey far away from many of the big name wineries on highway 29 into unfamiliar territory. However, hidden in the mountain, you’ll find a gate overlooking into a humble house surrounded by grape vines. At first sight, you may think you have come to the wrong place, but rest assured you are exactly where you need to be. After the gate opens, the real experience begins, and here is ours. Upon driving through the gate, we were immediately greeted by Roscoe, the house dog. He followed our car as we pulled up and kept barking, naturally, we were unsure of what to do. That’s when Tom, walked on over from a section of vines to us and told us that Roscoe was friendly and just was saying hi. 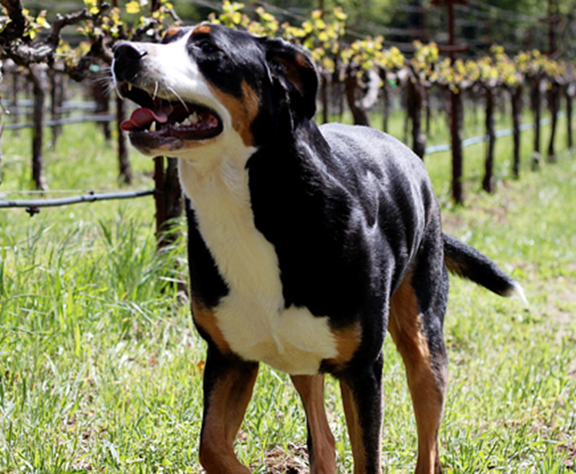 Getting out of our car, we were warmly introduced to Tom and he welcomed us to Red Cap Vineyards. He first had us take a look at the dirt on the floor that surrounded the vineyard to observe the dusty red traits from all the crushed volcanic rocks. Following, we went deep into the vineyard where he talked about certain blocks and had us observe the vines. We also watched Tom do a little shoot thinning as the vines were already growing beautifully. As we walked down the rows of vines with Tom, he shared with us a family dream that had become a reality and we could really tell his passion and work that he put into the vineyard by his voice alone. He ran us through the process of obtaining permits to cut trees, to demolition, to planting, all the way up to the fruits of harvest. 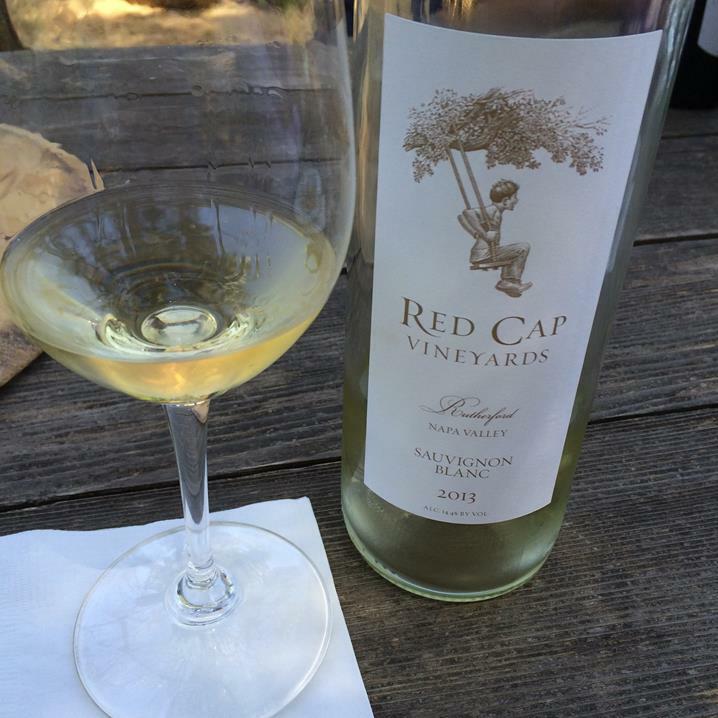 The Sauvignon Blanc from Red Cap actually comes from sourced grapes from the McGah Family down in Rutherford. 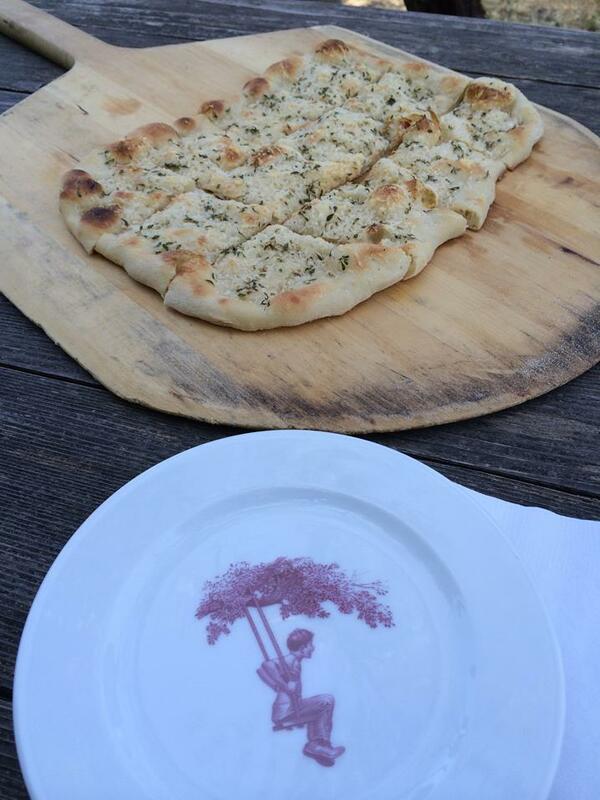 A blend of Sauvignon Blanc and Semillon grapes with mostly Sauvignon Blanc, the 2013 was crisp and refreshing. Lots of layers of yellow and white fruits, which transitions into a mineral and crisp finish. We gave this wine a rating of 88/100 being priced at $27. Following the Sauvignon Blanc, we started a reverse vertical starting from a 2010. From the source itself, this Cabernet is the Red Cap latest vintage, 100% Cabernet Sauvignon. Flavors of red and black berries, licorice dominates the pallet. Gorgeous finish of mocha, leather and dried herbs. We gave this wine a 93+/100 points at $75 because we see amazing potential in the next 10 years for this wine. The 2008 was what Tom calls the “crowd favorite” and we could tell why with the first few sips. Lush and tart flavors of dark berries, cola and earthy spices. The finish displayed flavors of mocha, leather and soft tannins. For the tough year that Red Cap had in 08, the wine came out beautiful. We gave this wine 94/100 points at $75. 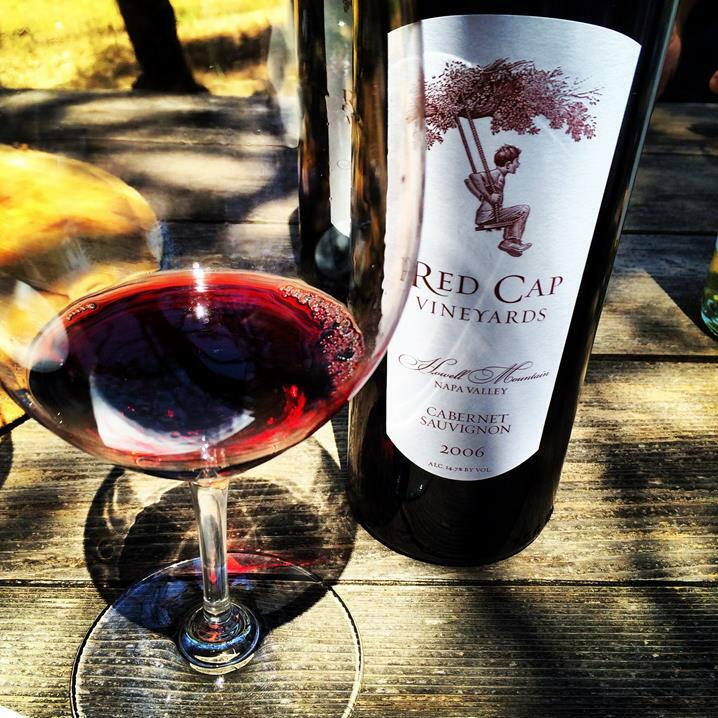 The inaugural release of Red Cap wines, the first sip showed us why Tom and Desiree’s dream became a reality. Flavors of ripe dark fruits, plums, currant and chocolate. Additional flavors of anise, tobacco, and coffee finish off with soft tannins and terroir driven minerality. We gave this wine 93/100 points at $75. For each wine that Tom and Desiree poured for us, they would share with us the stories of that year. The difficulties that they had, the success that they reaped and the farming process they had to go through for each year. The stories that they shared really shined through all the wines that we were able to try. Following our tasting, we engaged in conversation (and more wine) with Tom and Desiree, learning more about their family, their journey, and sharing some of ours as well. The more we talked to them, the more we came to realize that if there was anything more beautiful than the wine itself, it would be the people behind it. Truly a family that values not only good wine, but good company and good friendships, we couldn’t help but experience a family feeling which could be found in their personalities, to the little boy on a swing their wine label. We felt that we could’ve spent the entire day talking to Tom and Desiree, and if it weren’t for another appointment, we would have. As our time came to a close, they walked us out with Roscoe (we were sure to give him one last pet) and wished us well and to visit again soon. For us, you can be sure we will be back because there’s just something about this winery that truly makes it sparkle. 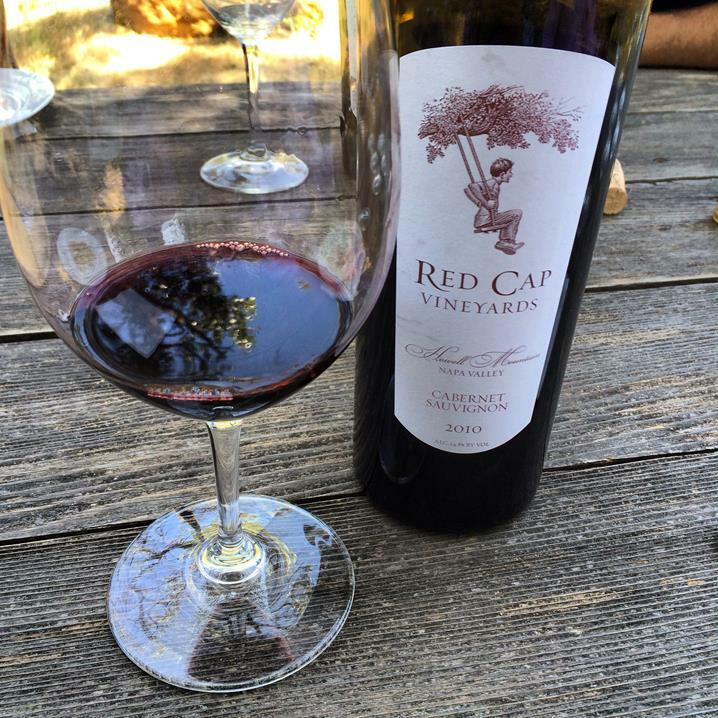 However, to truly experience the magic at Red Cap Vineyards, you have to make a trip for yourself. P.S. Shout out to their Marketing Director Michael Nguyen who wasn’t present at our visit but we were so dying to meet! Next time!